What happens when I receive the King Solomon 22 Strand DNA Activation? Upon activation the Master Cell located in the pineal gland, begins to physically transmute over time, clearing itself of any cellular or genetic abnormality. Eventually it transforms itself into the perfect cell. All the cells in your body take their patterning from the Master Cell. As your old cells die off, new cells continually regenerate to replace them according to the blue print of the Master Cell. Whatever cellular or genetic mutations exist encoded within the Master Cell at the time of regeneration will transmit to the newly forming cell. Note every cell in your body will regenerate at least once every seven years. Imagine living in a body with every cell perfect! How can I Facilitate this Transformation? As you undergo this process, you will utilize two extraordinary homeopathic products to facilitate cellular clearing. Antimony Purificato helps to release cellular toxins and Antimony Crystalis facilitates the release of genetic debris. 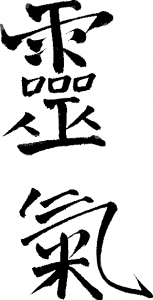 Using these two products faithfully morning and evening can accelerate the process to completion in approximately three years instead of seven. How does this DNA Activation affect my family? You can consider your DNA as a form of family karma because your ancestors passed it to you and you in turn, will pass it on. Any changes in your genetic structure will affect three to five generations backwards into the past as well as forwards into the future. Therefore, any alteration to your DNA will likewise affect the DNA of those persons within this six to ten generation span. In the case of the deceased, the soul body (a physical body, although at a much lower density than the one we experience) will receive the activation. The King Solomon 22 Strand DNA Activation also works laterally in your family tree to include all of your siblings to the extent that they share your genetic heritage. As a result, the DNA activation clears family karma of genetic patterns for physical and mental disorders as well as certain behavioral karma like feelings of victimhood and unworthiness. For further info please call Melena Simmons at 435-5066 or 253-4594.
is it a supplement, or something more holistic??? It’s about an hour and a half session in which the practitioner spends about an hour doing energy balancing, and about 20 to 30 minutes doing the activation with a very specifically prepared crystal wand. 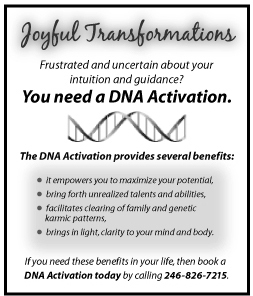 This is the 22 strand DNA activation that is taught by Gudni Gundaison from the Rocky Mountain Mystery School. After one gains the Adept Initiation, one can go on to get the Teacher’s Initiation, and it is during the teacher’s training that one learns to perform the 22 strand DNA activation. There is the 24 strand Adam Kadmon activation as well. I love the 22 strand DNA activation, and they also do a karmic matrix removal also from the spine to free one from loads of negative karma. I enoyed my 22-Strand DNA activation. I would recommend this to anyone who wish’s to assist themselves and/others. It is amazing as my close friends have noticed a change – couldn’t pin point what it was.. They just asked what I have been doing? I just smiled and shared.